This is the first time I've had Dave Rayner Funding. I began cycling when I was around 15 years old I raced as a junior then progressed up to ride for Pedal Heaven in 2015 and JLT Condor last year, gaining a lot of experience in those last few years. 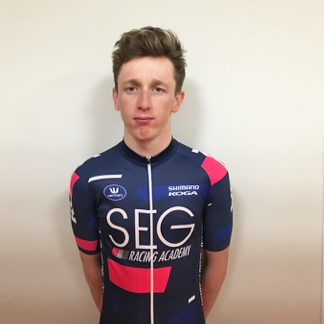 I will be racing for Dutch Development team SEG Racing. The Dutch team began in 2015, and has ever since been a well recognised Development team, with many riders turning pro over the last three years, it takes mixed amount of mostly U23 riders on from all nationalities, to try and help and further their career in Cycling. Race Programme. I began my season on the 5th of March in France, Gp Lillers, I then have a double header weekend of the 18th/19th of march at Ronde Van Groningen and Houtse Linies, they are both dutch races. next up is three days, Tryptique, Circuit Ardennes then a target of mine Liege Baston Liege, in mid April, I then race a few one day races and prepare myself for Tour De I'sard, a four day stage race in France. that's what the first couple of months of my calendar look like right now. We race on Koga bikes, finished off with shimano Ultegra di2, shimano tubuler wheels with Pioneer providing us with power meters. the kit is made by Vermarc, Feder Mut socks, BELL Helmets and Shimano Sphyre shoes. My other interest include having a laugh with my mates, creating banter, also follow other sports such as football and cricket.